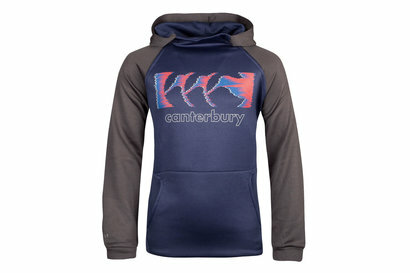 Protect yourself from the elements and pull on this Vaposhield Kids Fleece Hooded Sweat from Canterbury. 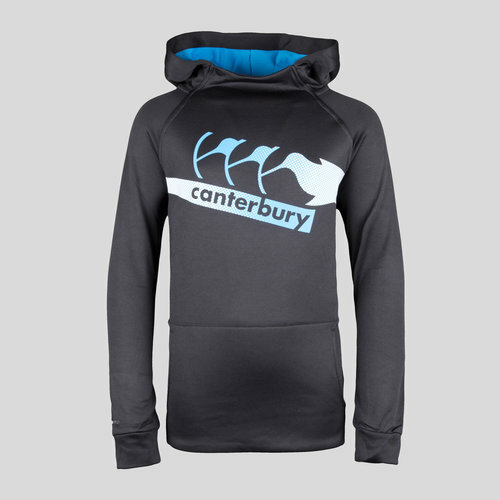 Made from 80% polyester and 20% cotton, this hoodie from Canterbury features their VapoShield technology, which is designed to wick sweat away from the skin ensuring optimal performance and comfort during wear time. Perfect for the gym or wearing casually, this top is quick drying so will continue to deliver in all scenarios. With elasticated waistline and cuffs to aid heat retention, this top also has a hood to keep your head warm and dry. 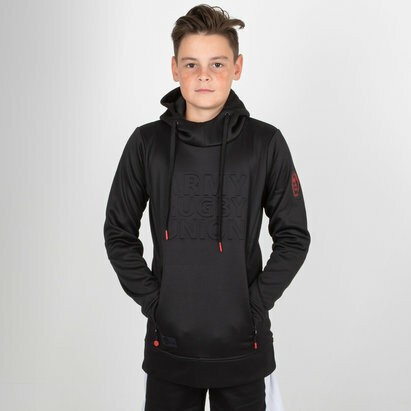 With kangaroo pockets and a striking design, you're sure to look good in this Canterbury Vaposhield Kids Fleece Hooded Sweat.